Most of you are waiting to have a hand on windows 7. Many of you including me have tested the beta and RC versions of Windows 7. I used windows 7 for more than 2 months. Its great but for me a bit annoying with some features. 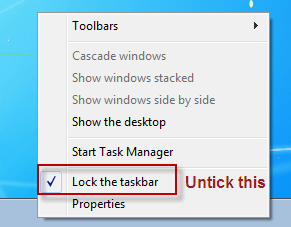 One of the odd things that hit me was the new sidebar of windows 7. I don’t like the way windows 7 taskbar treats the applications and open windows. I wanted to convert it to like that of Windows XP . All this lead to a bit of trial and error method with options of sidebar of windows 7. Finally I was able to find the solution in one of the forums. 6. 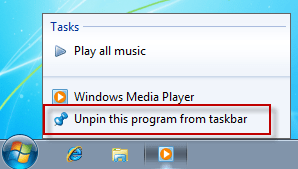 Repeat this for all the programs in the taskbar. 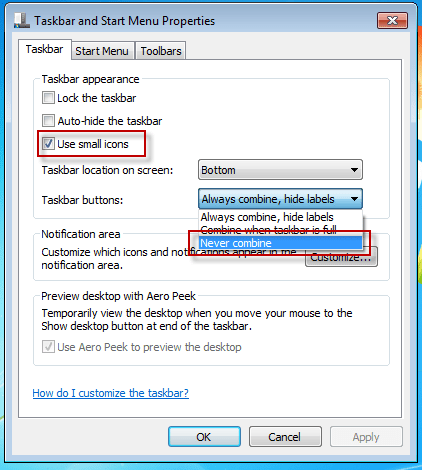 7.Right-click an empty space on the taskbar and if you wish, put the checkmark in the “Lock the taskbar”. That’s it, now you got back to the classic taskbar same as Windows XP. my win 7 taskbar has been turned into the classic taskbar. but i don’t like it and i wanna change it into the win 7 basic as it was before. pls pls help me…. @ swadsadik , Well..just bear with me for few days. Whne i am back offline, i would love to write about how to return back the Win7 bar again. Just 4-5 days.